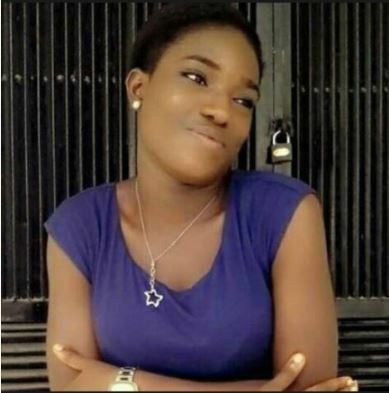 A promising Nigerian lady has passed away in her sleep briefly after graduating from a higher institution in flying colours. 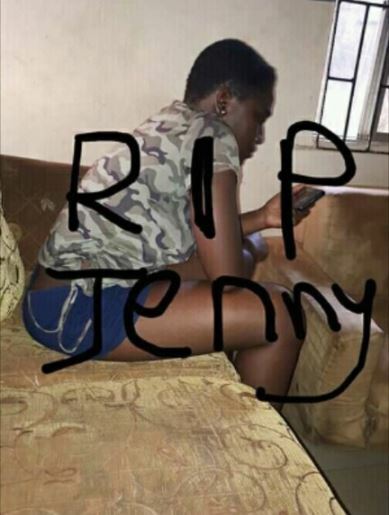 A Facebook user, Chimelum Ajanma has shared the story of a tertiary institution graduate who lost her life unexpectedly. 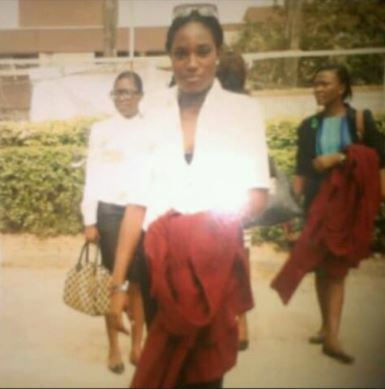 She was awaiting her National Youth Service Corp call-up letter which was supposed to engage her for a whole year. The netizen claimed to have chatted with her before she died and she shared evidence. 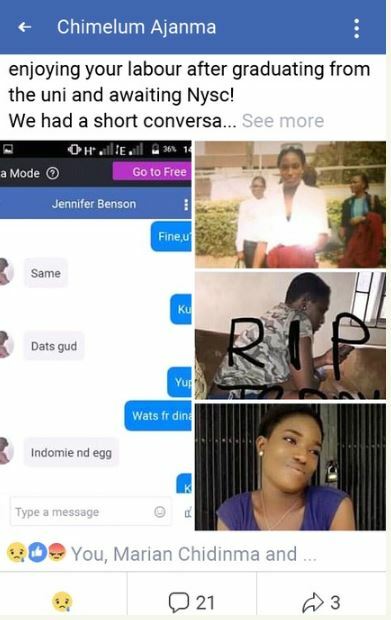 We had a short conversation week back little did I know that will be our last chat, No sickness, No accident, slept and never came back just like that..life is a joke! I love you dear friend"